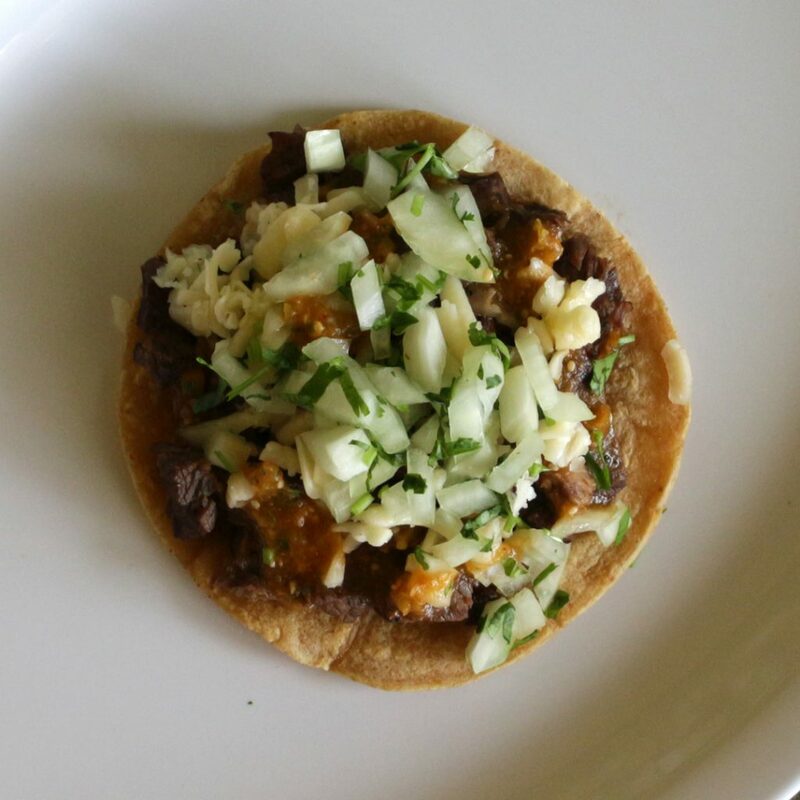 Typically when searching for the taco of your dreams, you’ll be presented with a few options but there are 3 prominent ones that reign supreme from taco trucks to full on restaurants: Carne Asada, Pollo and Al Pastor. These are taco staples and each has their own strong points but what do we really know about these meats? How did they become such staples of taco culture and how are they prepared? Well, that sounds like something Benny’s Tacos would love to explore, so we’re doing it! Let’s get started. At its face value carne asada is translated as “grilled meat” but clearly it goes way beyond that. There are a number of unique recipes that encompass the carne asada name but typically the meat will be thinly sliced, have a charred taste to it (even if just a bit) and marinated, rubbed, or served as is. Flank and skirt steak are the most popular cuts of carne asada but other cuts of meat have been used as well. Pollo is just chicken, right? Well, when put in a taco… not exactly. Regular old chicken isn’t going to do it, you need some spices! Taco chicken is typically diced into smaller bits or shredded but marinated with a slew of ingredients. You don’t have to use all of them, but some of the big ones are Garlic, chopped onions, chili powder, paprika, salt, cumin and even tomato sauce! The flavor has to have enough of a kick to stand out from the other meats and, when done right, it absolutely does! In terms of how pollo came to be such a staple, it was at first thought to be the same journey as the cow. We say at first because only a few years ago it was discovered that there were some chickens native to South America called Araucana. Originally, chickens were thought to come exclusively from South Asian and East Asia, but there have been reports of small clades found around the world. The history of chickens being used as food is a little harder to pinpoint but the Americas soon turned it into a dietary staple! 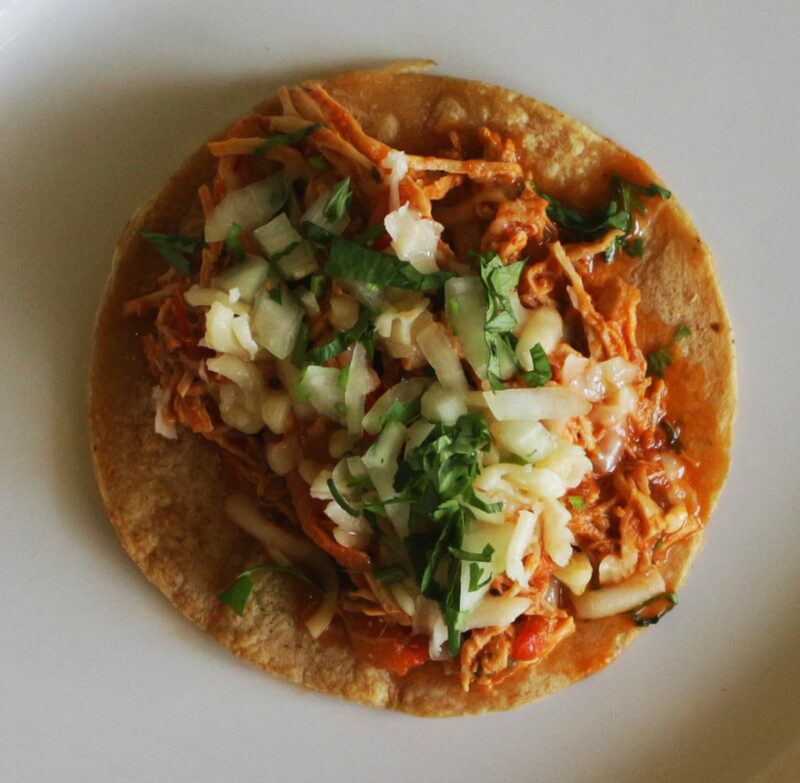 This is one the best alternatives to carne asada and pollo around, a true staple of Mexican cuisine with an interesting history: its al pastor! This amazing meat is actually done in the shawarma style, similar to most kebabs and gyros. Al pastor consists of pork marinated in chilies, spices, and pineapple. The pineapple typically sits on top of the pork which is cooked on a vertical rotisserie. This history of this one is very interesting. 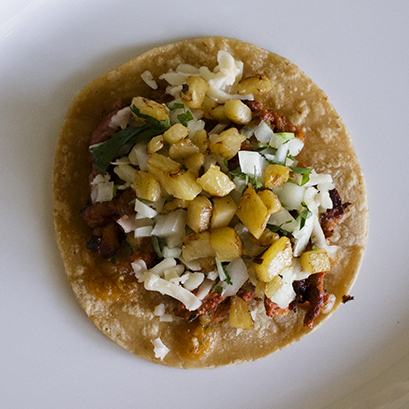 Al pastor was introduced by Lebanese immigrants making their way to Mexico. These late 19th century settlers began opening restaurants all across the country and their influence spread widely. Lebanese Mexicans initially only made up around 5% of the total immigrant population in Mexico but ended up operating half of the businesses run by immigrants at the time. The result was a culinary combination that became a staple of the countries cuisine, and something we happily serve at Benny’s Tacos! Tacos obviously encompass more than these three types of fillings, but it’s hard to deny the significance of these three taco staples. Be it carne asada, pollo, al pastor, carnitas, shrimp, or veggies, Benny’s Tacos has the right taco for you! So taste a bit of culinary history and visit Benny’s Tacos today, or order online! Feel free to follow us on Facebook and instagram for all things taco… and more!